In recent years, technology has transformed human resource management (HRM). While the task of managing people in organizations is becoming ever more complex, HR professionals can now get better results with the help of new tools and techniques. This pioneering and unusual book defines HR techniques as technologies in their own right, and consolidates a broad array of strategies to provide a holistic view of people management. Using models, charts and clearly-defined terminology, this book lays out the theories and practical steps in the application of HR technologies. 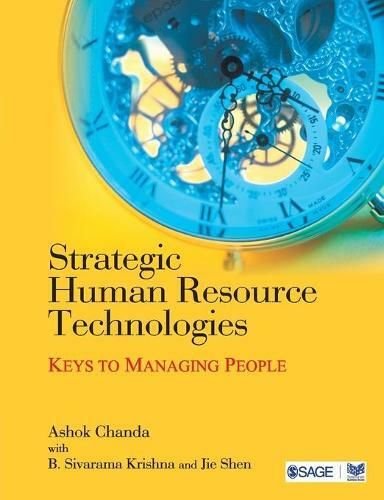 The book based on the author's research and industrial experiences presents over 40 different human resource technologies and discusses their implementation on a case-by-case-basis.... HR managers will do well to browse through the book.... The book aims to define for the reader the various goals that can be achieved by HR technology and how and why the technology would be useful in his organization.